Leave your old clothes behind and experience more...!! Many travellers leave behind their belongings when moving from one place to another. Either the backpack is too heavy or it has been filled with new souvenirs, so the old t-shirts or shoes no longer fit in. 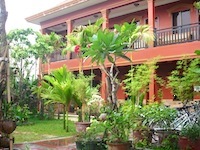 Our Jasmine lodge has recognized that most of these things are in perfect condition to be used. As a result, my adventure trips have started collecting clothes and other objects that can be useful, and encouraged the travellers to donate them to one of the donation boxes placed on the roof top desk tour of jasmine lodge, instead of throwing them away. Every quarter a village is chosen where all the material is distributed. Guests are welcome to come along on the tour with our 4WD Mitsubitshi 7 seats and with stomach ache medicine, pencils, pens and rulers or many other things that are more useful for isolated villagers living In new village that have no pagodas, Markets and school yet is good chance of travelers just drop off a little bit money and these things also can have full experience bring back home. In countryside,some isolated village did not have clean water so they have to go far away from village to fetch the water and carry for use in the family and also some of them have bicycle and use water-jug filled it up and put on the bicycle bringing home. So sad to see this for a little girl is carrying really heavy water to her home and sometime she waits for many hours and hours to get these water because so many people are queueing to fetch water but in there, there is just only one wells. This is the best of everyone seized the oppunity to help in the time of travelling just drop off some experience with local people like me i will be honest to advice and share the opinion to do it with you. Now you can see the first step of lives of Cambodian people was older than our teenagers was In the suffering civil war many years make people lose each other and did not have school and Educated themselves that is big spot of daily lives nowadays you can see in society in policy of Cambodia not longer the people have knowledge much developed not dig up in the past of their story just walk one step and greedy to have earning also classify the hierarchy of poor and rich even eating and sitting around of and look down and scare the same people with money and authority . 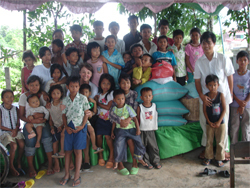 Angkor Jasmine foundation is non profit and non political fund in Cambodia Angkor jasmine tours and the clients of jasmine lodge in 2003, it is founded by all staff of jasmine lodge. Because of very long civil war in Cambodia in Khmer rough genocide regime from 1975 and 1979 took around 3years 8 month 20 days more than 3 millions was killed and starvation in census of Cambodian Government which left country quietly and broken. Even Nowadays, Cambodian government is trying hard to improve Education and human resource levels, But still there are a lot of children in countryside isolated village can not afford go to school Because of the family was poor and Parents did not have education former military just defected to normal villagers in 2000 getting new life without hand and legs so how can they make money for sending their children to school...! Even more in Cambodia just passed through Civil war and still have mine left a lot and Cambodian people and children did not know the mine they thought it is the things for playing or take it to manufacture to something else as spade or bowl and might be exploded and make people lose the hand or the legs and the lives. So one family in countryside have children at least 5 to 8 children that is reason you will see in frontiers of Cambodian and Thailand and Markets so many women carrying baby just was born only 3 months begging money and some of other children use plastic rubber addicted on the street in night time sleeping in the yard of department the place where have many tourists. 2.Fresh Water well use in the community for poor villager and putting your name sponsor. 4.Sponsored children from village who are not afford to study better school as university or tourism school and then they could find jobs to do and make his hope to get better life. PteahTa knyoum project is meant( my grandfather's house) and it has been left a long time since he was dead in 1996 so i would recontruct it tobe school for the children around these 3 villages can not afford to study.unfortunately i am still need someone helping us like floor or every month spending on teacher and worker and last week on the 4th of october 2009.i got students from antipidean company in Australia helped one toilet and cleaned the comlex and also paint the wall concret and wood.For the some customers would help to buy the activities from our school.and i would give you free accommodation to stay in the khmer house and cook yourself there.and it is good chance for you spend more times with local people in that area in Cambodia with their huge smile.it is really Cambodia. 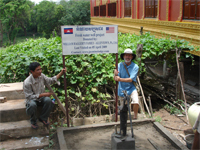 The fresh water pump well is built so far away from city so that is why a little bit more expensive than in city. 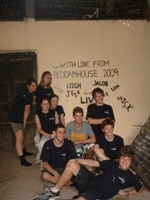 The required donations are going to the project not for profit association and we encourage all our guests to come along to see the projects in action and meet the students you have already sponsored. Why am I doing like this way and what is my advantage? It is nothing for me because I was a poor boy used to ask loudly someone to help me , Even more ,I promised myself coming to Siem reap getting married with foreigner after that i have had finishend the khmer school in 12 grade and bring to my village for development of English Education community unfortunately the standard of life in Siem reap was full of starving and struggling to live one day fill up and one day manultrited eventhough i was a villager far away from home and had to struggle in the life of poor boy and I improved myself as a waiter, a cook and guests relationship and motor bike driver in one guesthouse without payment just for eating there and then became English tour guide being well known expert can make enough money and then get married with one girl was the owner guesthouse but she had no ability for running and after marriage I managed this guest house name jasmine lodge as my wife's name so that is why I do not forget my hometown I have opinion doing this project will help me to find volunteers teacher andDonations for helping children are solutitude in Cambodia siem reap angkor wat . These donations is used for rent the rooms and whole local house and delivery and back to guesthouse and school and also transportations going to pick up and delivery back to airport and some of donations paying for the community project school for buying the rice for children in the center. and for some event in general you can do and see reality. where going to volunteers and teaching? 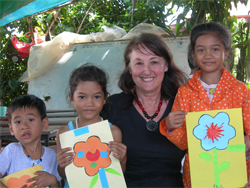 1 Week English teacher in OrphanageSchool Bike,Basic rooms,transportation going to pick you up and delivery to orphanage or community. 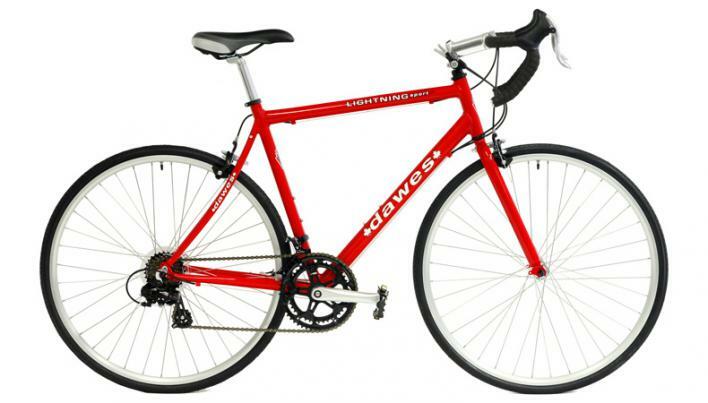 Bike,Basic rooms,transportation going to pick you up and delivery to orphanage or community. Bike,family,transportation going to pick you up and delivery to orphanage or community. Bike,family,transportation going to pick you up and delivery to orphanage or community.s,transportation going to pick you up and delivery to orphanage or community. Bike,family,transportation going to pick you up and delivery to orphanage or community.ms,transportation gong to pick you up and delivery to orphaBike,Basic rooms,transportation gong to pick you up and delivery to orphanage or community.nage or community. Free Education Programme - Provides local children that are unable to afford the government school fees with the opportunity of a free education and . 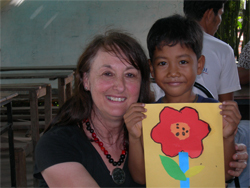 Volunteers - Assist the local teaching staff and teach English or Japanese. Teach sports, arts , fun activities and with well experienced in English accent and also locally agricuture grown in family. Orphanages - in village in remote area like my grand father's house school www.mygrandfathershouse.org or Selfe help community center www.shcccambodia.org and other one children santuary and salarien khmer school .The project supports three orphanages that provide a safe home for more than 80 children as well as supporting the poorer children in the local village community. 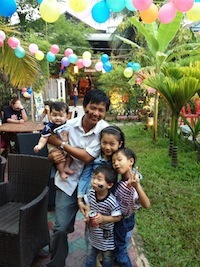 The children live in ''family'' groups of five or more. They live in individual houses with a stable carer, while they attend school and receive agricultural and vocational training. An emphasis is put on teaching traditional Khmer dance, music and handicraft arts, which were repressed during the Khmer Rouge regime. 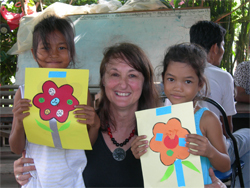 The children, some of whom are HIV+, also receive regular health checks from the Angkor Children's hospital. Relationships with friends and relatives are nurtured by regular trips for the children to their home villages. Arrived back home and want to give something back...? Donating from home is simple, fast and totally secure through this online fundraising page at globalgiving. It is a very efficient way to support our fundraising efforts and the projects gets your money faster. 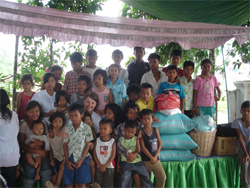 If you’re a UK tax payer, Gift Aid are automatically added to your donation. Please visit the online fundraising page to see how you can help. Thank you very much in advance...!! !